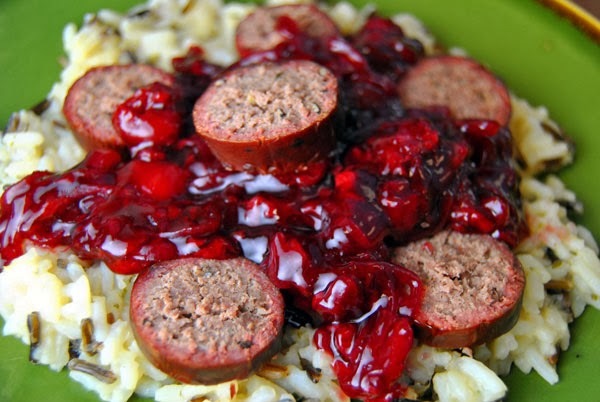 Hand mix all ingredients for the sausage, then use a Meat Grinder with a coarse plate to grind it. Grind half of the meat mixture a second time through a finer plate. Vacuum seal the ground meat and allow it to marinate for 1-2 days. 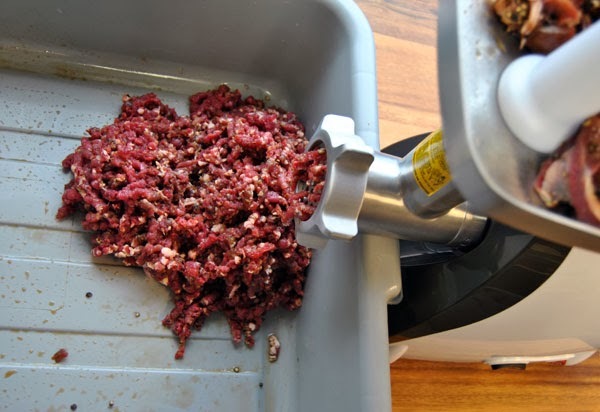 Use a Sausage Stuffer or the stuffing attachment on your Weston Meat Grinder to stuff the sausage into casings. Soak your wood smoking chips for 30 minutes. 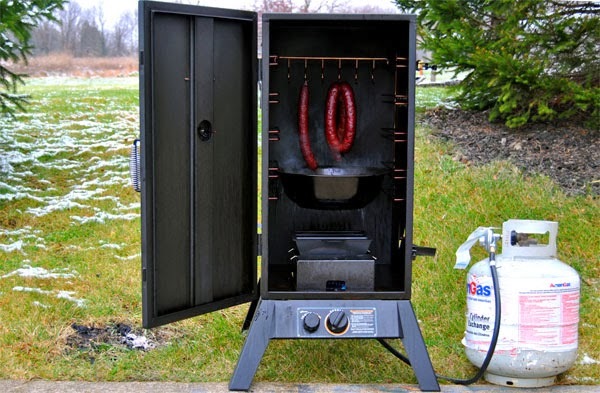 Preheat the Smoker to 170 degrees with the water bowl filled. 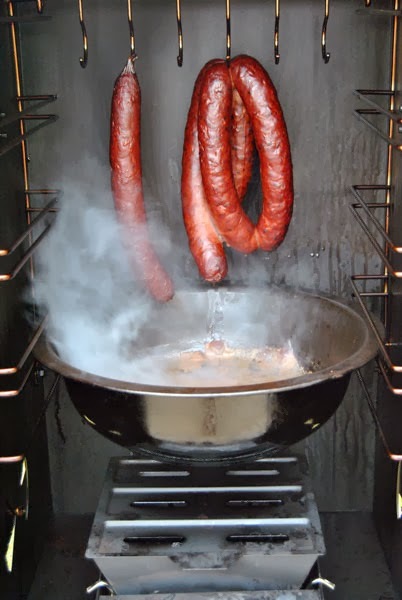 Once preheated, fill the smoking box and hang the sausage onto sausage hooks. 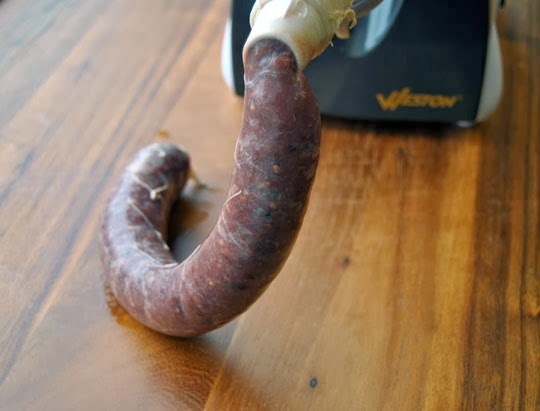 Smoke the sausage for two hours, then adjust the temperature to 200 degrees and smoke for another two hours or until the internal temperature is 160 degrees F.
While the sausage smokes, prepare the sauce. Sautee the shallots in soy sauce and brown sugar until translucent. Pour in the cherries and wine and turn the burner to high. Stir constantly. Once boiling, bring the sauce back down to a simmer. Stir occasionally. Allow to simmer for about one hour. 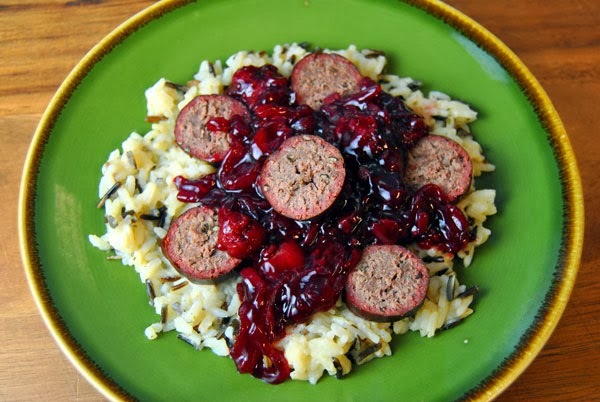 Once the sausage is fully smoked, serve it over wild rice, smothered in cherry-shallot sauce.